Rarely do I find myself with the controller in hand and flicking about the various TV channels. I might come across that one episode of The Next Generation that’s really cool, or maybe one of the many episodes of Malcolm in the Middle I haven’t seen, but by-and-large what I want to watch I find out when it’s on, I sit down to it and when it’s over off I go. Whilst I watch a lot of shows, I don’t watch a lot of TV. I have no need to. Often I’ll joke with my dad that there’s hundreds of channels and all of them rubbish. The more I think about it, the more it strikes me that the idea of digital television with access to hundreds of channels isn’t aimed at me. Not really. It would’ve liked me, but it just missed. It was aimed at the people who grew up with television as it grew up, who lived with the amazing choice of BBC or ITV. Who were happy to operate without the internet because it was just another tech thing. And that’s it, really. I don’t want to talk too much about piracy, but I have to with this so I’ll start here; when there’s a problem, someone comes along and fixes it. If you missed a programme twenty years ago, unless you recorded it on tape or it happened to be repeated, you were out of luck. Just under ten years ago though? You could download it and watch it. This happened for a few years before TV companies worked out that this phenomenon wasn’t going anywhere and that they should react to it. 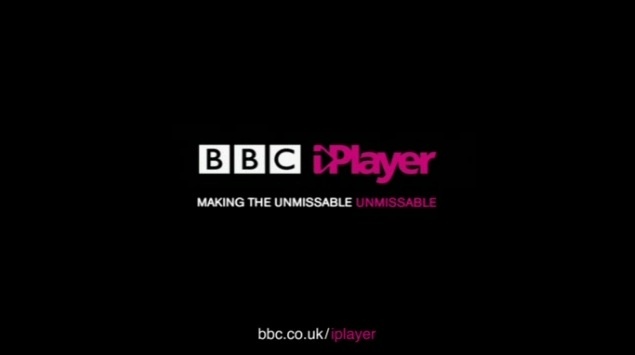 Now we have the BBC “making the unmissable unmissable” with the iPlayer and services like Netflix where you get access to tons of shows whenever you want. How we watch TV has changed so very much, but TV itself has barely changed at all. This has become a bit of a pickle for broadcasters. The method of measuring viewing figures took a relative eon in this digital age to be made into something not completely stupid; measuring digital viewing was not something immediately noted as important. If it wasn’t watched on the TV when it was originally broadcast the view didn’t matter. It was irrelevant. The thing is the internet doesn’t waste any time. The problem with that is then obvious; when anyone from anywhere uses the internet, their time and location is meaningless. It’s why so many people pirate/download TV shows (and films and games) because why should I have to wait for something to come to my country months, weeks or maybe even hours later when I can get it now. There’s a massive gulf in the physical world that isn’t in the digital one and it’s only incredibly recently that anyone has actually tried to do something about this. Netflix put up all of the first season of the remade House of Cards up online to view on day one in February. It was a really ballsy move to be the first one to put a high value, high production, high profile show up to be obtained only digitally. It was a real test of faith with the public; we trust you to not take advantage of this and in return here is a high quality product that you can watch without waiting whenever you want. Did it work? Arrested Development’s return from the cold depths of cancellation purgatory takes place in a few days in the same set-up on Netflix. Is it perfect? Not at all. To view it from another country you’ll likely need to wait some time but as I said before, if there’s a problem someone will come along and fix it. There are plenty of means of getting access to international services that tow the morally grey line, but still require you to register and pay. It is, however, a pretty clear stepping stone. In one movement they’ve obliterated the need for a TV to watch a brand new, highly desirable show and made it available to a huge swathe of people with minimal barriers. Even then those barriers won’t last. I think the best part as well is after the success of House of Cards and the inevitable success of Arrested Development’s fourth season the trend will be forced to continue as all these digital only services start making themselves sustainable through their own commissioned shows. Obviously this is driven by a viewer desire, maybe even entitlement…but that makes perfect sense to me. Without viewers, you’re not going to get sales. So now we touch base with piracy again (and then we’ll loop back to digital viewing). I want to introduce you to Bob. He is a dirty pirate scumbag. He lives in the US and as soon as a show he likes in the UK has aired, he looks online to try and find a version of it he can stream or download. He might find a streamable copy, but it’s in low resolution, the recording isn’t great and there are some adverts over it. He doesn’t mind too much though because sooner or later he’ll get a clean version of it and be able to watch it rather than waiting a year or so for it to come to the US or be remade in the US into something completely unwatchable. Bob knows many people for he is a likeable person. Pretty regularly he’ll tell friends about this cool UK show he’s watching. It won’t always work like that, but there is a reason word of mouth is so damn powerful. I’ll more than likely broach the piracy topic in a later discussion, but I think there’s an argument for it not necessarily being this all terrible thing. One of the (surely) seemingly obvious solutions is to just make shows available to everyone as soon as possible with a reasonable cost barrier. It’ll certainly make advertising difficult and I don’t have an as obvious solution to that problem, but priced effectively there’s no reason why a show couldn’t be commercially successful on this model. This requires a show actually being liked, but then there seem to be enough people to keep The Big Bang Theory going so I suppose pretty much anything has a chance, really. Figure in DVD sales and broadcasting rights to the traditional TV model and you have guaranteed sources of revenue, but more importantly for the consumer you put them first. You give them the option to watch what they want, when they want to, wherever they live. It also means certain shows that don’t do well via traditional broadcasting, especially if they are on Fox, have a greater chance at survival when the only necessary ingredients for success is a quality product and a fan base that desires its continuing existence. From strictly niche shows that are cheap to make but maybe don’t have enough potential to be put on TV, to the most prominent and successful shows, it can all work and we’re almost certainly going to see this happen. It’s just a case of when. 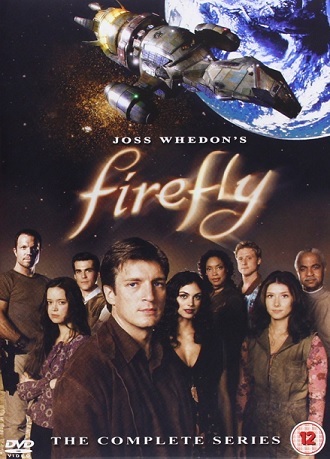 If you look specifically at DVD sales too they have been enough to drive renewals of shows; Firefly with Serenity, Chuck with more Chuck and now Arrested Development with more Arrested Development. And of course why are DVDs great? Is it because you can watch them whenever you want as quickly as you desire? I’m going to say yes, mostly because that’s exactly the case. The fact is from a consumer, viewer perspective the traditional TV broadcast model is heavily out-dated. It works on notions from sixty years ago. They’re not all bad, obviously. I’m not going to dismiss that there is something fantastic about it being that time of the week for the latest episode of a great show and gathering round the TV with your family or friends, but you can still do that with digital releases. What else is there? Is it the waiting a week to watch the next episode when you know full well in another country the episode you’re waiting for was on half a year ago? Is it the putting up with adverts every fifteen minutes that completely throws you out of the programme? Is it the change in scheduling that means it won’t be on for another few days? Is it having to agree with other people that you’d like to watch something at 22.00 and do they mind, is that okay with them? Yippee to those! There is no sensible reason why as soon as something is created somewhere on this fair world that if you don’t live in the same region you have to wait ages (or eternity in some cases) to view it legally. The best part about watching things online, for me, is just what I’ve found out about and then gone on to watch. One second I can be reading a forum thread and talking about shows with completely random people for them to go “Hey, if you like this, check this out” and a second later I will be. Watching TV is out-dated. We’re online now. The sooner this is realised, the sooner television will be truly free for us to interact with and not restrained by the false openness of hundreds of channels. This entry was posted in Unfiction and tagged digital, internet, streaming, television. Bookmark the permalink.